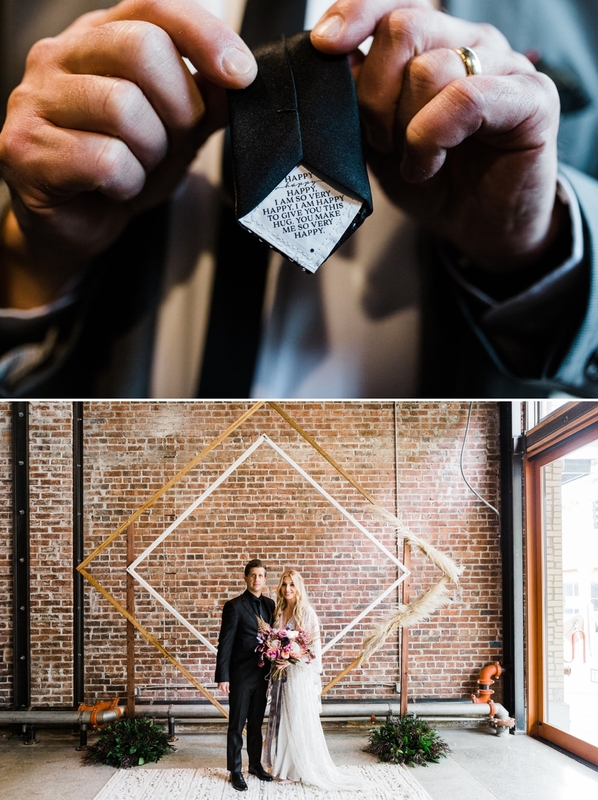 I’ve been waiting patiently to share this wedding as I was anticipating the release of its publication on Junebug Weddings! Obviously for something to get published you have to know it’s going to be incredibly unique and polished. Really though, I expected nothing less from this couple! 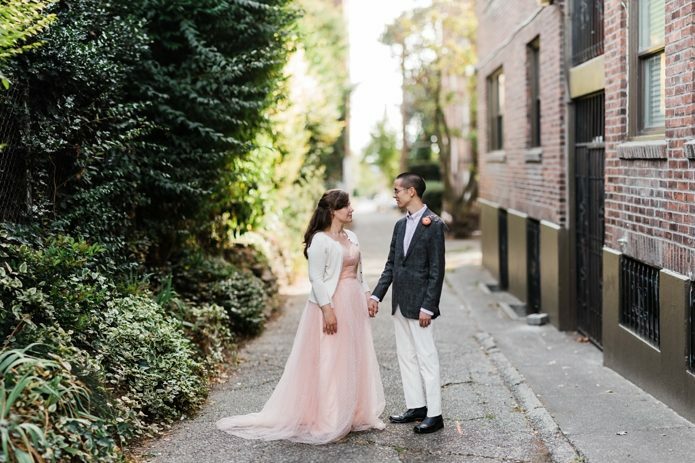 Allie and I have gotten close over the years as we used to live next door to each other in downtown Seattle and due to the fact that she is a wedding planner, we’ve worked on a number of weddings together. 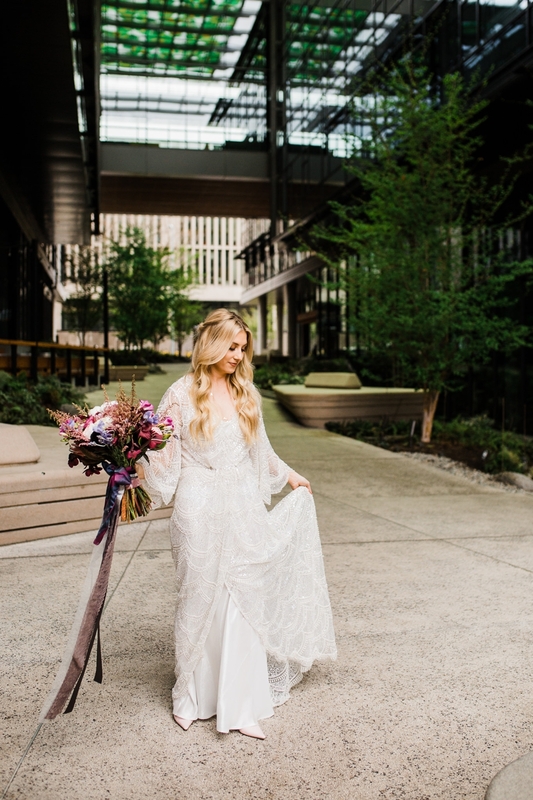 She went with and urban boho vibe for their city wedding, with touches of glitter and sparkle. 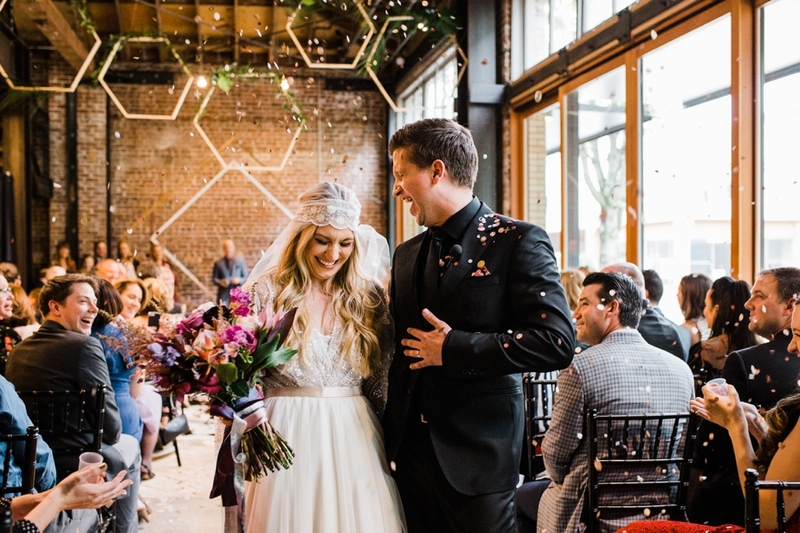 The day all came together with confetti drops at the reception, party poppers at dinner (a family tradition for them), and a sparkly doughnut bar for dessert. 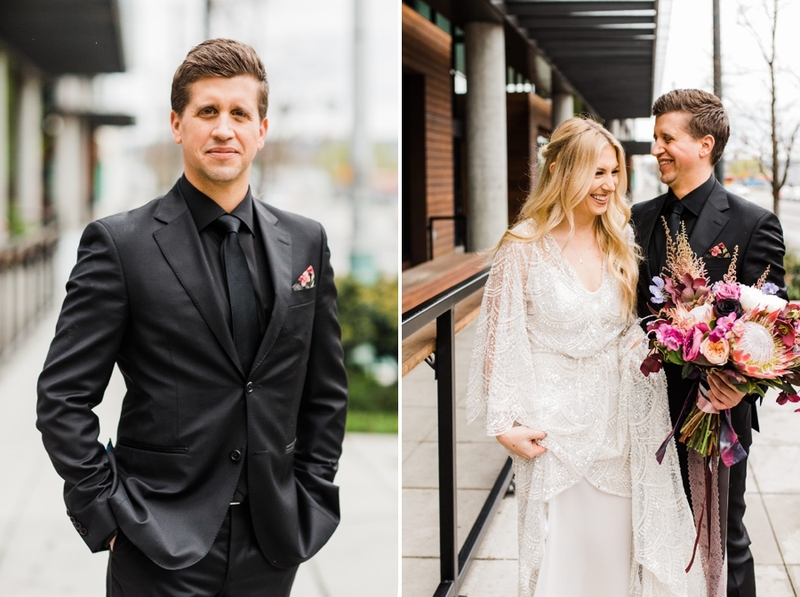 We finished off the day with a few photos in the rain, putting an exclamation on this very Seattle wedding! Congrats you two, you are amazing and I’m so happy to have been a part of your celebration! !